At my dental office in Long Grove we are always teaching patients about the effects different foods and beverages can have on teeth, and the importance of maintaining excellent dental hygiene at home. The same is true for denture patients! It’s important to try and avoid foods and drinks that can literally be a real pain. We’ve put together a list of some of the good foods, (along with the not-so-good) as a reminder. Check it out! 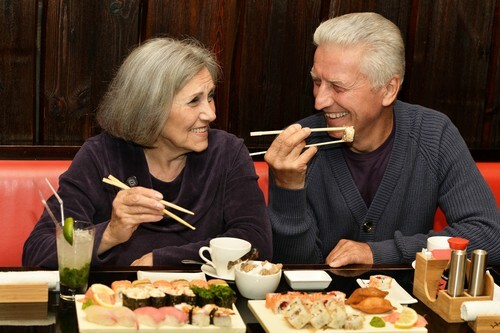 Now that we’ve gone over some of the denture-friendly foods you can enjoy, it’s time to take a look at some of things that might be best to avoid. And remember, if you ever have any questions about your dentures and how to properly care for them, give your Long Grove dentist a call. My Long Grove dental office is always ready to answer your questions. Please do not hesitate to give us a call at any time. We’re always happy to help.